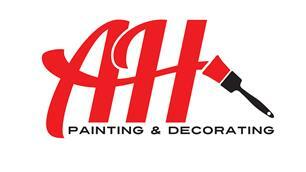 AH Painting And Decorating Ltd - Painter/Decorator, Plasterer based in Staines-upon-Thames, Middlesex. We are a small business that has built a loyal customer foundation over the past twenty years, and for that we are proud. As well as serving residential customers, we have branched out into providing our services to schools, offices, shops and health clubs. We are a team of four professionals that are passionate and enthusiastic about our trade. Our code of practice is to work with integrity and to cut no corners. We are members of the Painting and Decorating Association (PDA). We work in accordance with their guidelines such as commitment to promoting the industry and to maintain a professional attitude in all our affairs. We are conversant with new and old products, this allows us to consider what the best products are for different work specifications, it also allows us to consider product limitations. AH Painting and Decorating understand the value and importance of your home. From the start of a job to the end, we protect and regularly clean the working environment. We work reliably and efficiently, allowing our customers to get back to family life and their duties as quickly as possible with minimal inconvenience. We have now introduced the Mirka Deros sander to our tool shed. This allows us to abrade surfaces to a very impressive finish. Moreover, it extracts the dust. In conclusion, we strive for a better finish, cleaner working environment, time saved, money saved. Follow us on Twitter and Facebook for daily updates and product reviews.